Cisco has refined its strategic direction into a number of capabilities, which the company’s A/NZ vice-president, Ken Boal, describes as the “sizzle of digitisation”. 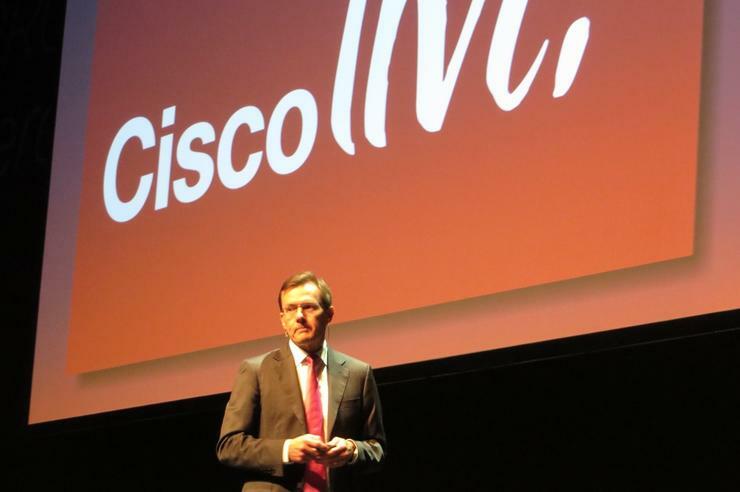 At the keynote session of the Cisco Live ’17 conference in Melbourne, Boal said the company will be working on strengthening its digital foundations, with partners demanding the company to take a new approach to market. “Here at Cisco, we’re taking the innovation agenda to heart and moving the needle from policy to action. We’re taking this approach with the start-up communities that we’re investing into, universities, research bodies, and government agencies. One example that was highlighted was the company’s installation of 4,500 access points across 250 buildings for the University of Melbourne, which it embarked on without a channel partner. The company also, together with Optus Business, recently embarked on a revitalisation project for South West TAFE. “We’re building IoT digital solutions in specific industries to improve outcomes. We’re helping you arm your organisation with ways to engage your customers and together, we’re enhancing the workplace experience,” he said. According to Boal, this will benefit both enterprises and service providers. 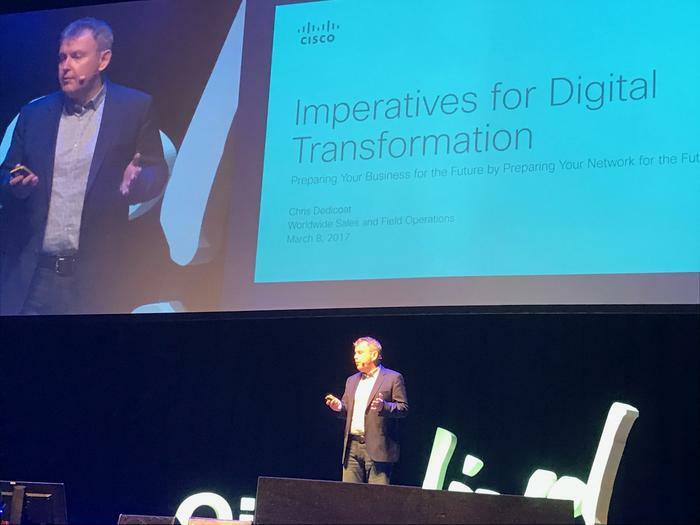 Cisco worldwide field operations executive vice-president, Chris Dedicoat, who also spoke at the keynote, said digitisation has become top priority on a global scale and people want to know how it will affect them as individuals, businesses, and as a country. “It has been talked about for a long time, but now is the time for IoT to happen pervasively around the world. Over the next 10 years, 500 billion devices will be connected to the internet – the scale of things being connected is becoming real. “The consequence of that is that technology is moving faster than it has ever been before and technology needs to be there to support business transformation,” he mentioned. And with this, there needs to be a stable network to be able to support the magnitude of devices connected to the internet. However, according to Dedicoat, we’ve not reached the stage where the network can handle this growth. “Every company, every country is going through this transformation. So, the second generation of the internet needs to be of a scale which today, is probably unimaginable. We as an industry, must develop and prepare for this. We as a company, want to lead that. “We’re doing that by making sure we invest in the development of the technologies tat provide the foundation for the net generation of the internet. We spent a little over $6 billion on R&D – of that, $3 billion is spent just on networking,” he mentioned. In closing, Boal also said the company will also be stepping up efforts in its SMB through more partners and new digital channels. In addition, he reiterated that the company has been “contributing extensively” to the national cyber security agenda, working with partners in “an ever expanding ecosystem”, working together with other IT and industrial players and building solutions as a service to make workloads easier for partners. Hafizah Osman is attending Cisco Live ’17 in Melbourne as a guest of Cisco.